We are now at the tail end of second-quarter earnings season and all four FANG stocks have reported earnings. Who was the winner in the FANG group this earnings season? Certainly not Netflix (NASDAQ:NFLX), which dropped 15% after reporting a rare subscriber miss. Also, certainly not Facebook (NASDAQ:FB), which dropped 20% after warning about a revenue slowdown and lower margins. What about Amazon (NASDAQ:AMZN)? The e-commerce giant reported strong quarterly numbers, but AMZN stock has struggled for gains this earnings season, up less than a percent over the past two weeks. That leaves Google (NASDAQ:GOOG). The digital search giant reported strong second-quarter numbers. GOOG stock jumped more than 3% the day after Q2 earnings. Since then, GOOG stock has largely weathered bad reports from digital advertising peers Facebook, Twitter (NASDAQ:TWTR), and others. Over the past two weeks, it’s still up 3%. Thus, it looks like FANG’s biggest winner this earnings season was GOOG stock. For the record, I think all of FANG will bounce back. But, Google’s resiliency amid weakness in other FANG names points to just how strong, durable and necessary this company is in today’s internet-dominated world. It also points to underlying strength in the company’s multifaceted and diversified growth drivers. Because of these attractive features, GOOG stock is a must-own, long-term investment for anyone looking to generate alpha in a multi-year window. This stock will easily hit $1,350 this year — and head towards $1,800 and higher over the next 4-5 years. Here’s a bold claim: There is no company in the world today that is as necessary to consumers globally as Google. Google is the world’s default digital search engine, and digital search is the backbone of the internet. Considering more than 4 billion people across the globe are connected to the internet, that means that Google search is hyper-relevant to more than 4 billion people worldwide. More than that, Google is necessary. Imagine using the internet without Google. Now, imagine using the internet without Facebook, Twitter, Instagram, Snapchat, Uber, Lyft, Postmates, GrubHub, CNN, Fox News or ESPN? An internet without Facebook or Uber is totally possible, because there are viable alternatives like Instagram or Lyft. But an internet without Google isn’t possible. Yes, there are alternatives. But no one uses them. Google has 90% market share globally, essentially meaning that there aren’t any viable alternatives. Because of this, it is fair to say that Google search is built into the fabric of the internet. Thus, so long as internet usage grows and no viable alternatives arise, Google search will grow in value. Perhaps the best thing about GOOG stock is that Google search isn’t even the best thing. The best thing about GOOG stock is that Google is developing into so much more than a search engine. The company’s search business has given the company a robust and unparalleled database regarding consumer searches. Google is turning around and using that database to create next-generation businesses that are presently nascent, but oozing with huge growth potential. This includes Waymo, the company’s self-driving unit which could one day produce billions of dollars through autonomous ride-sharing and Google Home, the company’s smart-home and AI businesses which could transform the way consumers globally interact with technology. Google also owns Youtube, which is at the heart of the cord-cutting trend sweeping across the globe. Between those three businesses, Google is looking at an additional revenue opportunity in excess of tens of billion per year. That is on top of the company’s already multi-billion dollar ad business. 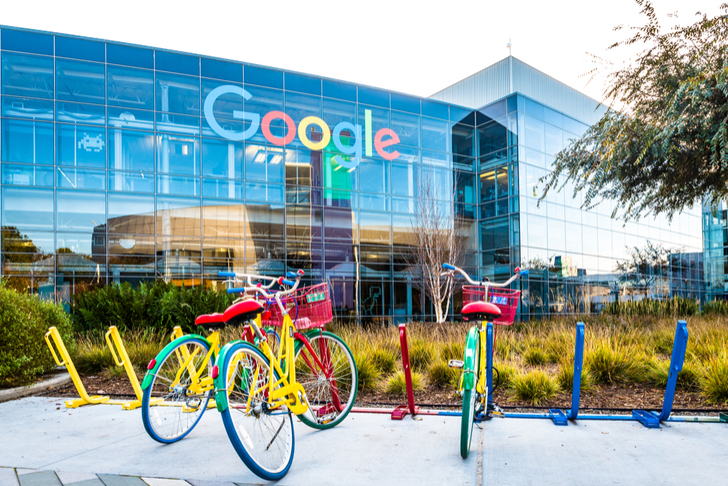 Due to the company’s multifaceted growth drivers and broad exposure to tomorrow’s biggest growth markets, GOOG stock is set to be a big winner in a multi-year window. All together, I think this is easily a 20% revenue growth company over the next five years. During that stretch, operating margins should be able to bounce back as search traffic acquisition cost growth moderates, and big investments into Waymo turn into big profits. Assuming 20% revenue growth and healthy margin expansion, Google should be able do about $90 in earnings per share in five years. A growth-average 20 forward multiple on that implies a four-year forward price target of $1,800. Discounted back by 10% per year, that equates to a year-end price target for GOOG stock of just over $1,350. No matter which you slice it, GOOG stock is a long-term winner with big growth potential through markets like digital advertising, autonomous driving, smart home, and AI. This stock should hit $1,350 this year, and $1,800 in the next 4-5 years. As of this writing, Luke Lango was long FB, AMZN, and GOOG. Article printed from InvestorPlace Media, https://investorplace.com/2018/08/why-google-stock-must-own-long-term-winner/.